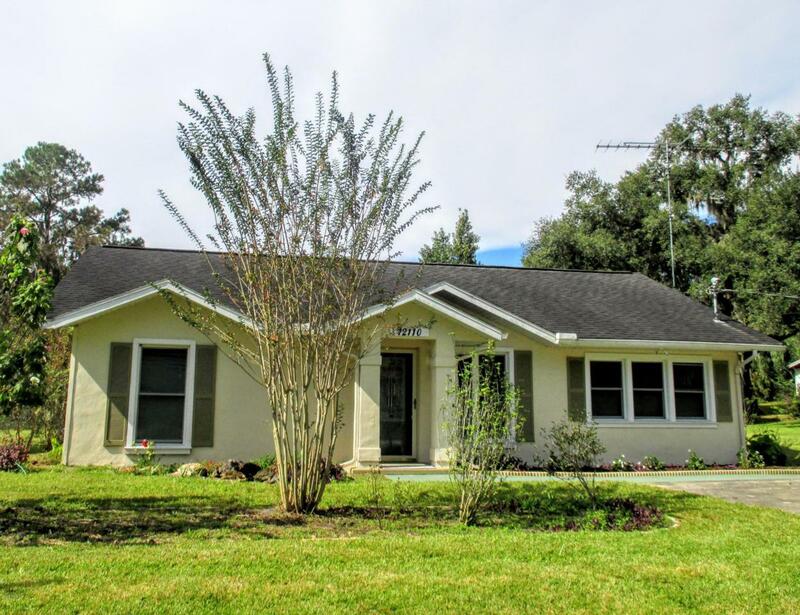 HOME SWEET HOME NESTLED IN BETWEEN DOWNTOWN DUNNELLON AND THE RAINBOW RIVER FEATURING 3 BEDROOMS AND 2 BATHROOMS ON OVER HALF AN ACRE. FALL IN LOVE WITH THIS HOME'S BRIGHT OPEN FLOOR PLAN AND CATHEDRAL CEILING WITH TILE AND LAMINATE THROUGHOUT. MASTER SUITE HAS WALK IN SHOWER AND DOUBLE CLOSETS. KITCHEN IS JUST RIGHT WITH SOLID SURFACE COUNTER TOPS AND PASS THRU TO THE FULL OF SUNSHINE FLOIRDA ROOM, OVERLOOKING THE PEACEFUL BACKYARD. OUTDOOR AND GARDENING ENTHUSIASTS WILL ENJOY THE OPEN PATIO, NUMEROUS FRUIT TREES, VEGETABLE GARDEN, MAJESTIC OAKS, NATURAL LANDSCAPING , AND BRAND NEW LARK SHED WITH 20 YEAR WARRANTY. MOVE RIGHT-IN ALL FURNITURE IS AVAILABLE PLUS A ONE YEAR HOME WARRANTY.